AMA on Facebook with author Brian Boucher on whether or not the art market is racially biased will take place on October 12 at 2pm. As one way to assess the data, we asked how the representation of black artists at the top levels of the auction market compares to their presence in the US population. Interestingly, the answer to this question varies starkly depending on whether you look at the top 10 artists at auction by volume or at the top 100. Out of the top 10 at auction by volume from the last three decades, four artists are black: Jean-Michel Basquiat ($2.8 billion in sales), Mark Bradford($106.6 million), Glenn Ligon ($78.4 million), and Julie Mehretu ($70.4 million). All of them have taken their place among the art stars of today: a giant Basquiat painting fetched $57.3 million at Christie’s New York in May; Bradford will represent the US at the 2017 Venice Biennale; Ligon was the subject of a 2011 retrospective at New York’s Whitney Museum of American Art; Mehretu won the US State Department’s National Medal of Arts in 2015. That 40 percent figure stands far higher than the proportion of black people in the US: according to the Census, about 13 percent of the population identifies as black or African American. That doesn’t come as a total surprise to Scott Nussbaum, head of 20th-century and contemporary art at Phillips New York. He joined the auctioneer in June after several years as a vice president at Sotheby’s. One of the top lots at Phillips’s London auction of 20th-century and contemporary art on October 5 is Bradford’s 10-foot-square mixed-mediaRat Catcher of Hamelin III (2011), estimated at up to £2 million ($2.6 million). Phillips is also offering the seven-foot-wide painting/collage Click (2001), bearing a high estimate of £700,000 (about $900,000). This trend coincides with major American museums nationwide working to diversify their collections, pointed out Nigel Freeman, of Swann Auction Galleries, in New York. He took time out from his preparation for an October 6 sale of African American artists, led by a Norman Lewis canvas tagged at up to $250,000 and including works by Romare Bearden, Sam Gilliam, Carrie Mae Weems, and other major figures, to talk to artnet News. 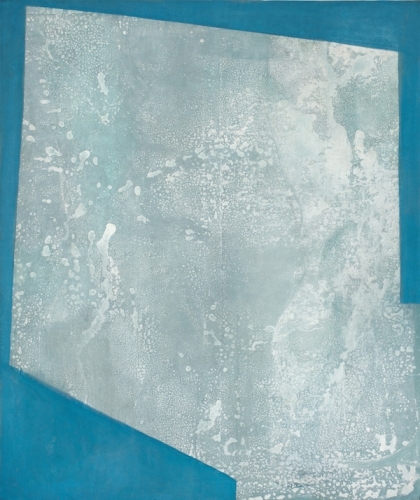 Among those influential collectors, Freeman cited Pamela Joyner, whose collection is the subject of a brand-new book, Four Generations: the Joyner/Guiffrida Collection of Abstract Art, just released by New York publisher Gregory R. Miller & Co., featuring essays by curators like Norman Kleeblatt (the Jewish Museum, New York), Thomas J. Lax (Museum of Modern Art), and museum directors like Thelma Golden (Studio Museum in Harlem) and Franklin Sirmans (Pérez Art Museum Miami). The links between generations are very direct, she said, pointing out that, for example, Mark Bradford was mentored by Charles Gaines, Kerry James Marshall by Charles White, and Jack Whitten by Norman Lewis. Market titan Jean-Michel Basquiat far outpaces other African American artists at auction, with $2.8 billion in auction volume over the last three decades. That’s more than seven times the next-highest volume at auction for a single artist: $383.8 million, for Keith Haring, and more than 15 times the third, $184.5 million for Mark Grotjahn. Basquiat, moreover, has dominated this list for more than two decades; only in the last eight years, or since Barack Obama took office, have other African-American artists cracked the top 10. During Obama’s first term, Ligon joined Basquiat in that rarefied company; over the last four years, Bradford and Mehretu joined them. While black artists appear at the top of the list in a greater proportion than their presence in the population, that figure becomes more in line with demographics as you dig deeper, surveying the top 100 artists by volume. In addition to Basquiat, Bradford, Ligon, and Mehretu, several other art stars appear, for 11 black artists among the top 100: Kara Walker, Rashid Johnson, Ellen Gallagher, Kehinde Wiley, Mickalene Thomas, Theaster Gates, and Nick Cave. Another key market metric tells a similar story: of the contemporary American artists selling for over a million dollars at auction, one-tenth are black. Looking worldwide, by contrast, it’s worth noting that among the top 100 artworks by price sold at auction in the last five years, there’s exactly one black artist, and he appears as number 100: David Hammons, one of whose works sold at auction at Phillips New York in 2013 for $8 million. Among the top global living artists by volume, meanwhile, Bradford, Ligon, Hammons, and Mehretu all appear in the top 100. If she’s elected, will Hillary Clinton’s presidency similarly coincide with women artists ascending into the top echelons of the art market? We’ll all be watching on November 8.